Hanging plants are beautiful. Certain types of birds are beautiful. Certain types of bird in hanging plants are not beautiful, but annoying. With as much as costs to buy pretty flowers in a suspended pot, and then the issues with bugs, and sunlight, and forgetting to water it, the last thing you need is birds turning it into a summer retreat. 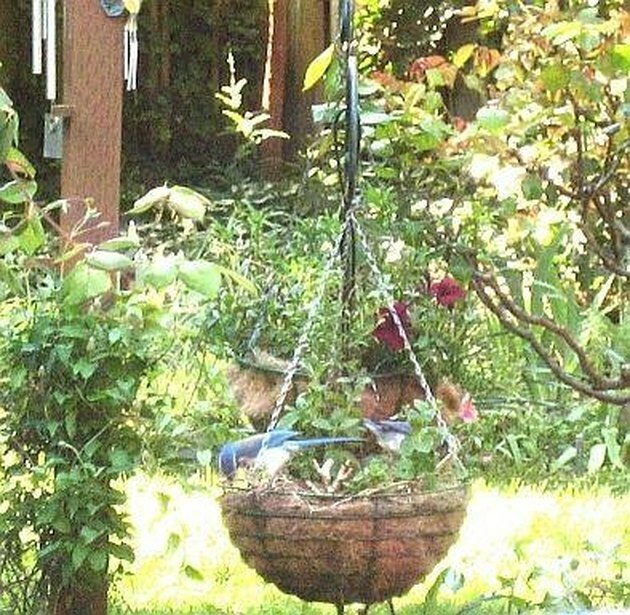 Keeping birds out of your hanging plants is easier than you might have thought with a few easy tips. Set tooth picks in the soil sticking up so it won't be so enticing for birds to sit on. Put something shiny nearby or in the plant. Old compact discs or sticks wrapped in aluminum foil will detract birds. Shiny pinwheels that move in the wind is a great deterrent. Soak a cotton ball in ammonia, and put it in the planter. The birds won't like the smell, and won't nest there. Place 3 or 4 mothballs on top of the soil in the plant, and the birds will stay away. Put a plastic snake in the plant. Birds will not nest where they think snakes are.